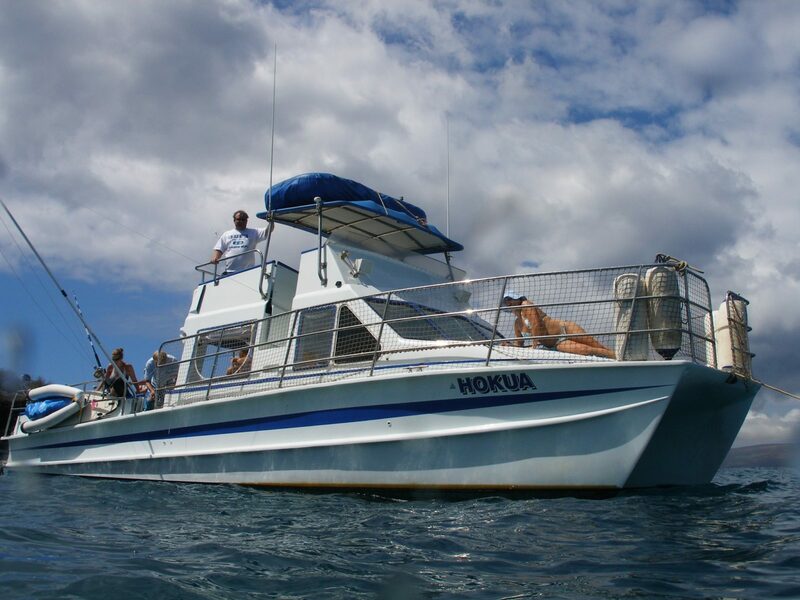 Fun and adventure onboard Hokua, Maui’s most intimate Ocean Adventure Vessel. 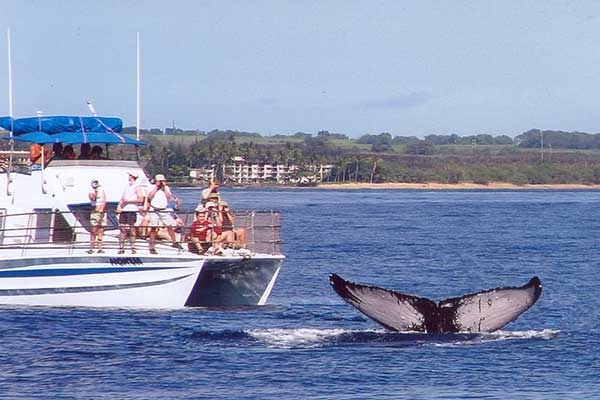 With our Eco Friendly Jet Drives we will have you and your family snorkeling and playing at Molokini or any number of other great Maui Ocean Adventure locations ahead of the crowds. 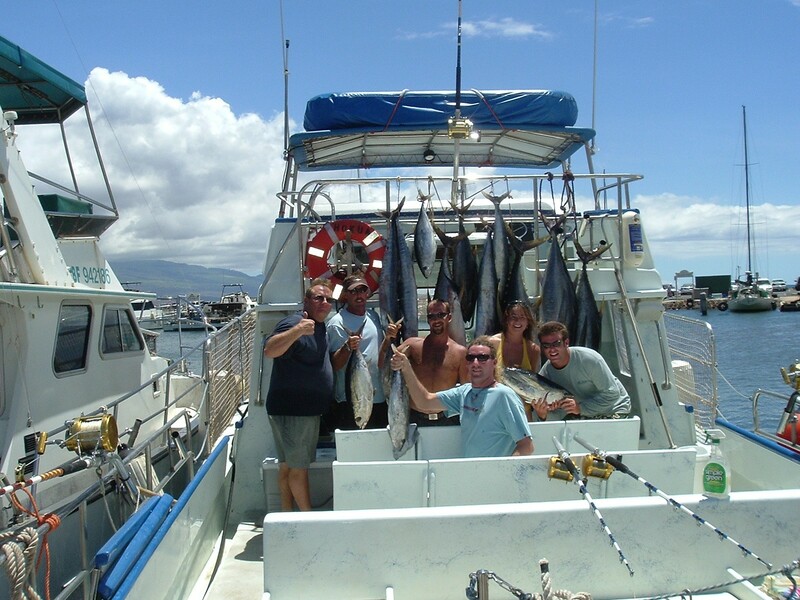 From a Family Adventure to an Intimate Wedding at Sea or maybe Hawaii Deep Sea Fishing Experience of your lifetime. You tell us what you want to do and we arrange it! 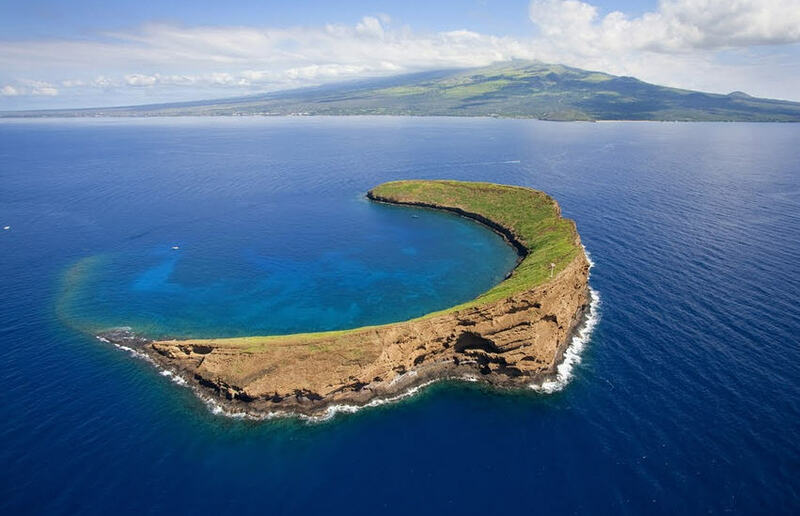 Located 2 ½ miles off Maui’s south coast, Molokini is an extinct volcano that is now designated as a State Marine Life and Bird Conservation District. 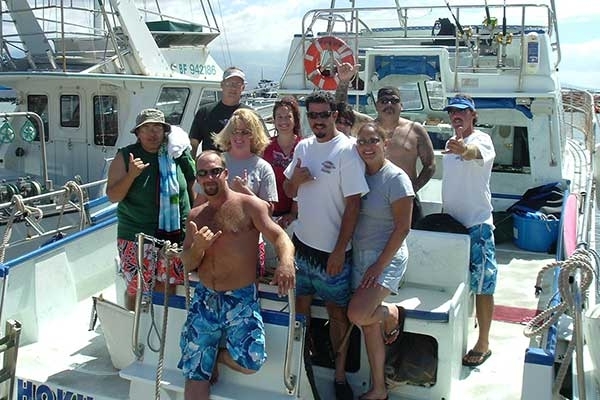 Up to 14 anglers, plus additional riders in comfort.We catch many different Hawaiian Bottom Fish including: snappers, Hawaiian groupers, trevally, barracuda, amberjack, and many other types of Hawaiian bottomfish. 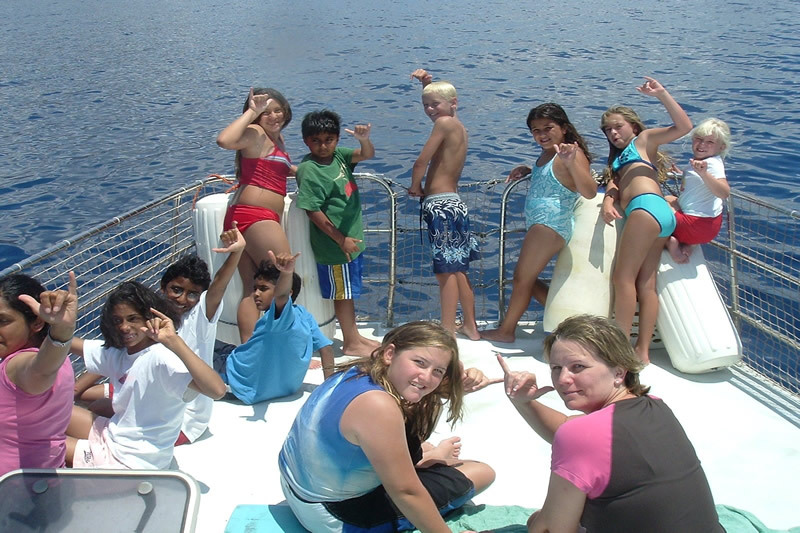 As an added bonus we troll for tuna, mahi-mahi, and other pelagic species between bottom fishing areas.